So the guys at Campfire Audio released the Orion and Jupiter IEMS just before Xmas and true to form I took the Jupiter with me on my Xmas travels again to get a nice long listen to it before the festive period ended and to shut out any potential strangers talking to me for no reason on the flight. Sorry, but I prefer the window seat for a damn good reason. The release of these two completes the trinity of initial IEM offerings from ALO’s fledgling offshoot brand, Campfire Audio. The Lyra being the missing piece and the first one we had reviewed back in July 2015. I was impressed enough with the Lyra, though being a pre-production unit there was still some fine tuning which I am glad to see has been brought into the newer units, mainly the cable memory which is now ultra-pliable. The $749 Lyra is also the only one with a dynamic driver and sits in the middle of the range with the Orion’s single BA driver unit below it at $349 and the quad-driver (4 BA driver) Jupiter above it at $899. 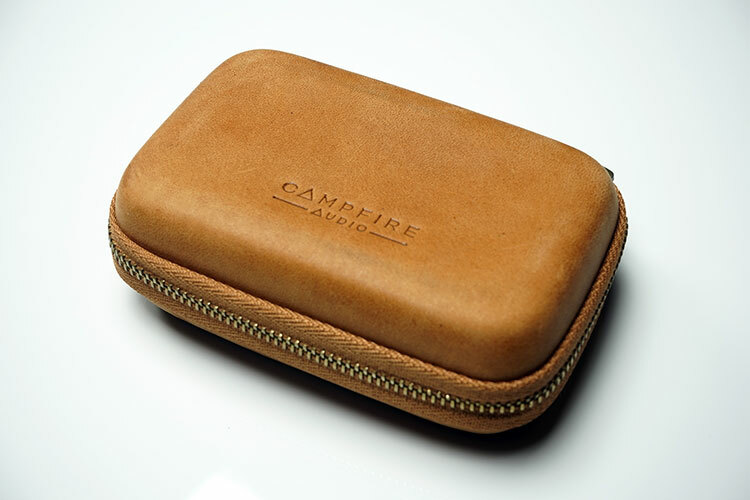 As such the Jupiter is considered the flagship IEM of the Campfire Audio brand at the time of writing. I actually cross checked the pricing from my previous review and had to make some pricing amendments as both the Orion and Jupiter are far more competitively priced than previously imagined. This is good move by the Campfire guys as the previous proposed pricing structure seemed a bit challenging (above $1k reported for the Jupiter). $899 for the Jupiter means it is squaring up to the Shure SE846, IE800, some customs like 64Audio’s old V8 and perhaps even against the Lyra itself given that the $150 is not a massive leap away. This seems the sweet spot right now for IEM flagships. Having said that there is a temptation to ask what this 4 driver BA has over cheaper 4 driver BA units such as the Westone W4, UE900s, Noble 4S and possibly (since we are guessing but it is the same price), the Wizard Savant from Noble Audio. Personally I do not put a lot of stock in driver numbers but it is a marketing game played by quite a few companies and when it is done right multiple drivers can sound astonishing indeed but not always so regardless of price. AAW from Asia launched the W300AR with just a 3 driver (hybrid) setup at around $899SG and sounded excellent. Even further up the fiscal drain chain and you have AKG’s K3003 hybrid three-way universal which costs a whopping $1,499 MSRP though Amazon right now has them pegged at $889 and sound unbelievable with reference filters. On the flip side though I tested the Final Audio Design FI-BA-SS single BA at $999 and never really liked its treble happy thin signature and felt most of the asking price was for the build and looks than the sound. Side by side all three units have striking similarities, particularly the Orion and the Jupiter. The Lyra is more distinctive with its slightly rounded curvature on the driver shell and the Orion and Jupiter having a more aggressive industrial or angular cut. Both form factors of the Orion and Jupiter are near indistinguishable apart from the color tones with the Jupiter coming in a subtler olive toned finish and the Orion in a more traditional solid black shell. The finish on the Jupiter is completed with 3 rather small and slightly recessed rose gold screws on the faceplate of each driver shell and an embossed logo carved into the farthest curve of the said same face plate. The Jupiter housing or shells are made from machined aluminum enclosures which gives a very solid feel in the hand and they certainly feel very durable and could take a knock or two when out and about. They are also assembled by hand which is a nice touch and distinct from any factory line output. They are a little thicker and bigger than equivalent 4 driver units from Westone or UE overall so you are aware of their presence in your ear more than other 4 driver IEMs but not to the same extent as say the monstrous Roxanne 10 driver universal. In short I still find them relatively discreet. 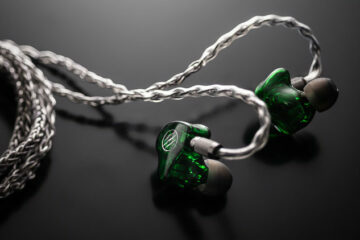 A lot of that size may have to do with the way the drivers are assembled into what Campfire have termed a optimized resonator assembly which replaced the more traditional tube, dampener/ filtering system you find in units such as the UE900S and the Westone 4. The argument here is that this chamber allows for a superior treble extension without any nasty peaks and forced tuning you get from traditional BA setups. In short, its superb and something I did not expect to experience to be honest given the high regard I have for Westone’s SureFit technology but the slightly larger size worked a treat. Isolation is one of the best yet outside of custom designs, especially with the foam tips. Whilst they weren’t exactly invisible or weightless compared to the Westone more compact approach, that slightly larger body and angular nozzle was just the right weight and angle to fit first time without any adjustment. There was zero movement or gaps developing, even in open jaw mode, and a limpet type seal blocking out a huge percentage of background noise and wind is a job done very well indeed. I got a slight diminution with the silicone tips but still very competitive. In comparison the Jupiter’s seal is superior to the smaller, but no less expensive, SE846, IE800 and the AKG K3003. That should be good enough for anyone not interested in custom builds to give the Jupiter a whirl in any demo. Of course those with tiny canals might feel they are a bit too tight and we all have different sized ears but for my money (and ears) I think Campfire got these spot on. The Jupiter, like the Lyra and Orion, is also designed for over ear use and built with MMXC connectors. Although not my favored choice for aftermarket cable connectors it does have its fans and I am getting more and more used to them and their flexibility benefits for fitting purposes. Being able to make minor swivel adjustments as well as using the memory plastic wraps does help to lock in the IEM to your ears tightly than the more traditional 2 pin fixed cables. The cable itself is all ALO in design and build and is similar to the one the Lyra now ships with if not the exact same one but this time, as mentioned before, the memory plastic coating at the driver end is wonderfully pliant and easy to manipulate. It is certainly one of the lightest I have used in a long time. The cable is constructed from SPC (silver plated copper) into what ALO term as their ‘tinsel wire’ and is housed in an FEP (Fluorinated ethylene propylene) jacket making this a pretty durable and well protected cable. The cable is also terminated with a clear plastic right angle 3.5m jack and you can get two flavors – a four pole for use with smartphones and a traditional 2 pole jack for straight up audio listening. 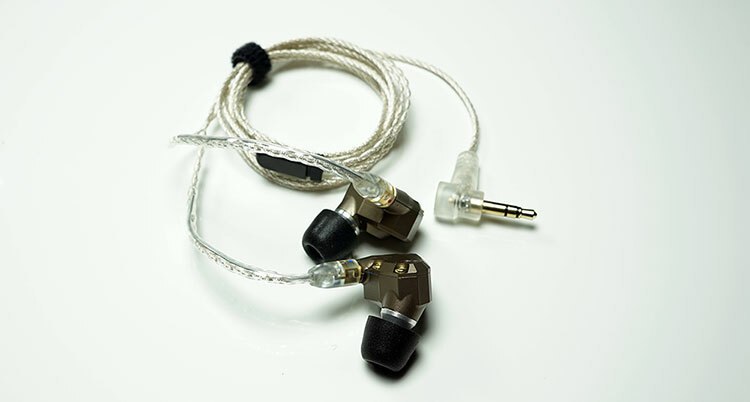 At the top end you have the MMXC connectors, which having a matching gold plated finish to the plate screws and the new and improved memory sheath for steadying the cable around your ears. It is all about that case again. If you remember I waxed lyrical about how retro and yummy the Lyra case was last year? Well this time it’s back but with a slight upgrade. Out goes the cleaner leather cover and in comes a more worn and natural leather look sporting a slightly crushed top to complete that out of your pocket rough and ready image. I love it, but then again I love that worn appeal in my clothes and shoes rather than the uber clean image other prefer so it is right up my alley accessory wise. It still sports that Arthur Daley inspired fur lined interior making it a very comfortable bed indeed for your earphones. It is also rock solid and can take a bit of a beating, which, I suspect is probably how Campfire managed to get this worn look in the first place. Inside you also get 3 sets of small, medium and large foam, Comply TX400 and single bore silicone tips, a cleaning brush and a user manual. This is all wrapped up in a rather eco-friendly packaging of a small single box no bigger than the case itself. If you study the box you will note the swirls of color and print on the outside looks pretty much like a close up of Jupiter itself. Not sure that is on purpose though. It does pretty good. The resonating chamber design is the same as the Andromeda just with less drivers so you get some excellent extension. 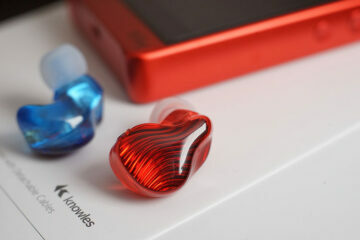 It is still one of the most sensitive IEMs out there though alongside the SE846 and Andromeda. Can you share more details about the Jupiter w/ Sustain84 pairing? Sound impressions? Best suited for? How does it compared to dita the truth? Far more sensitive and less piercing highs than the Dita The Truth. So, better sound quality overall? Very informative review. Could you compare your listening experiences between Jupiter and Earsonics Velvet? I am seriously considering to buy one of these 2. Thank you in advance for your kind opinion. I failed to notice that it was Mr.Patel who wrote the review of Velvet! Anyway, I just bought Jupiter yesterday after trying the pair at a local store. I guess I am also in luck that Jupiter can sit in my ears steadily. The bores are so large though… maybe only the stock ear tips work, I guess? I found Jupiter certainly can delivery good details to my ears without going too loud. The FR plot looks reasonably flat… and I always want to listen to my music/songs without EQ, if possible. A happy owner so far. Thanks for your nice review. That convinced me to go trying Jupiter myself. Wait another review from “inearspace” and the new DAP Opus#1. Great to hear it, its a very sensitive earphone that works on just about anything. Nice review. It seems that you like the Jupiter more than the SE846 due to the more enjoyable treble performance. Probably my only gripe with the SE846 is the lack of treble extension. Maybe the Jupiter will be a good complement. It’s also surprising to hear that the Jupiter has a better fit than the SE846 since I find the fit to be phenomenal.